Welcome to my website. Here you can read about my latest writings and activities, see some pictures, access my bibliography, contact me, or order books, ebooks, and audiobooks via the links provided on those pages. A link in the menu takes you to a special section about Melanie Tem and her work. Be sure to take a look at my new Climate Change page. Also check out my Facebook, Twitter, Instagram, and Pinterest pages, as well as view some YouTube videos, by clicking the buttons below or to the right on interior pages. For information about the Steve & Melanie Tem Collection at Texas A&M click here. In this new collection award-winning horror author Steve Rasnic Tem showcases a variety of ghosts and other creatures aiming to keep you up all night with the lights on. Read about the two best friends chased by a strangely familiar figure. Or the teenager who woke up one morning with fur sprouting from every nook and cranny on his body. Or the fellow from a poor family who has to take care of both his little sister and his crazy mom whose magical powers only make things worse. Or an old man who finally tells his grandson the terrible thing that makes their crops grow. Or the mechanic who keeps his cars running on oil, gasoline, blood, and broken bones. 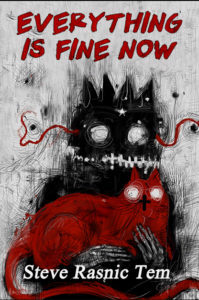 The stories in Everything Is Fine Now range from subtle supernatural tales to the legends you might hear sitting by a campfire. For adults, teenagers, and mature middle-grade readers. Steve has published over 400 short stories. His first collection of stories, Ombres sur la Route, was published by the French publisher Denoël in 1994. His first English language collection, City Fishing (Silver Salamander, 2000) won the International Horror Guild Award. His other story collections are The Far Side of the Lake (Ash Tree, 2001), In Concert (Centipede, 2010-collaborations with Melanie Tem), Ugly Behavior (New Pulp, 2012-noir fiction), Onion Songs (Chomu, 2013), Celestial Inventories (ChiZine, 2013), Twember (NewCon, 2013-science fiction), Here With The Shadows (Swan River Press, 2014), and the giant 72-story treasury, Out of the Dark: A Storybook of Horrors, from Centipede Press, featuring the best of his uncollected horror. Interview at the Darkness Dwells podcast concerning my new collection Everything Is Fine Now, existential dread, love and loss, and a few writing tips. Interviewed by Scott Edelman on the Eating the Fantastic podcast. New interview concerning Doctor Blaack up at MyLifeMyBooksMyEscape. New interview up on Kendall Reviews concerning my writing in general as well as The Mask Shop of Doctor Blaack. 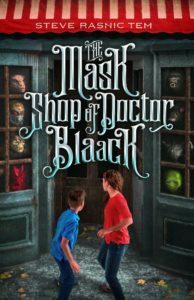 New interview at Cat After Dark concerning my new middle-grade novel The Mask Shop of Doctor Blaack and other things. Read the long interview with Steve in the upcoming second issue of Thinking Horror: A Journal of Horror Philosophy. June 2018 Interview with Steve on theLovecraft eZine Podcast. See a complete list of interviews on theInterviews page. “The Men and Women of Rivendale,” Nightmare #35. “A Space of One’s Own,” Clarkesworld #141, June 2018. “Cats, Dogs, & Other Creatures,” Talebones. including the full text of Steve’s story “The Common Sea”. 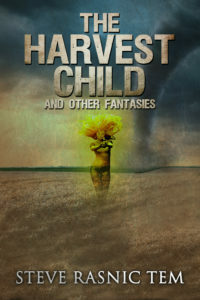 THE HARVEST CHILD And Other Fantasies is a massive collection of the wide range of Steve Rasnic Tem’s fantasy tales. These 39 stories include sword & sorcery sagas, chronicles of fairies, elves, witches, wizards, magical creatures, Robin Hood, funny fantasy, and a smattering of science fantasy, as well as some uncollected dark fantasy tales which emphasize the fantasy over the horror. None have appeared in his previous collections. These fictions originally appeared in both major markets and hard-to-find small magazines. Just a sampling of sources: After Hours, Paradox, Asimov’s, Dragon Magazine, Elsewhere, Infinite Loop, New Frontiers, Jabberwocky, Chrysalis, Grue, Mythellany, Fantasy Book, Extro, and Beneath Ceaseless Skies. Order the paperback from Amazon. Order the ebook from Amazon. 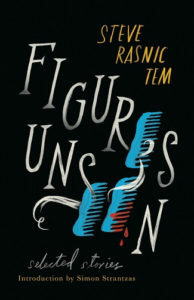 Winner of the World Fantasy, British Fantasy and Bram Stoker Awards, Steve Rasnic Tem has earned a reputation as one of the finest and most original short fiction writers of our time, blending elements of horror, dark fantasy, science fiction and surreal nightmare into a genre uniquely his own. 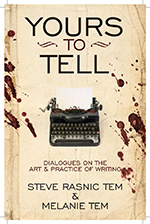 This new volume collects for the first time thirty-five of Tem’s best tales, selected by the author, and includes an introduction by Simon Strantzas. “His writing deftly weaves together fantasy, horror, science fiction, and surrealistic weirdness into tales that are both frightening and beautiful … Consider this collection a must-read for aficionados of the surreal.” Maria Haskins, Barnes & Noble Blog. Steve Rasnic Tem and Melanie Tem are no strangers to the writing business. Between the two of them, they have published more than 600 short stories, 20 novels, and 10 short story collections. Not to mention numerous articles, essays, poems, and plays. They’ve won the World Fantasy Award, British Fantasy Award, and Bram Stoker Award. In this book they go over everything from the mechanics of writing, to how to find the time to write, to dealing with all the paper writers tend to collect. They discuss plot, point of view, setting, characterization, and more, all in an informal tone that invites you to become part of their conversation. Learn how to find your stories because they are Yours to Tell. Order from Apex Book Company. Fall is Laura’s favorite time of year, but this autumn, things are different. She’s a teenager now, and the season brings new changes and challenges. Laura’s decided she’s too old for trick-or-treating and wants a more grown-up Halloween experience with her friends. Unfortunately for Laura, her parents tell her she has to take her little brother, Trevor, out trick-or-treating first. When they go shopping for Halloween costumes, they stumble upon a very strange shop and its even stranger proprietor. When Trevor tries on the wrong mask, the consequences are exciting…and dangerous. For more new book information go to the Books page. See a complete list of events on the Events page.